Article published in Outre-Terre, the European journal of geopolitics. In this article, I explain how immigration from Bangladesh have increased in Europe since the 2011 military intervention in Libya. 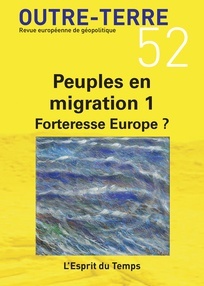 Goulard, Sebastien (2017), “L’Europe nouvelle destination des migrants du Bangladesh” (Europe, a new destination for migrants from Bangladesh), Outre-Terre, Vol.52, no.3, pp. 197-208, accessed at https://www.cairn.info/revue-outre-terre-2017-3-p-197.htm. I recently wrote an article about China’s Belt and Road initiative for “Outre Terre” a French international relations journal. In this paper, I explain the importance of the New Silk Road in China’s foreign policy and list the challenges Beijing willl face in implementing this strategy. Goulard, Sébastien (2017), “Les routes de la Soie, un projet pour le monde” (The new Silk roads, a project for the world), Outre-Terre, Vol.50, no.1, pp. 349-368, accessed at http://www.cairn.info/revue-outre-terre-2017-1-page-349.htm. 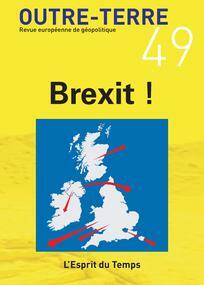 My article entitled “Brexit: la Chine entre opportunités et incertitudes (Brexit: China between opportunities and uncertainties” has just been published in the “Brexit !” special issue of “Outre-terre”. In this article, I explained that Brexit has threatened China’s strategy in Europe, and that, although this event may create more competition among European countries, it causes instability. Brexit might also slow down trade agreements between the EU and China. 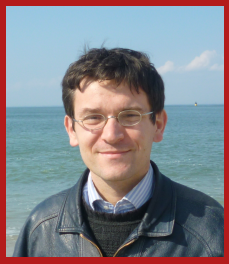 Goulard Sebastien (2016), “Brexit: La Chine entre opportunités et incertitudes” (Brexit: China between opportunities and uncertainties), Outre-Terre, Vol.49, no. 4, pp. 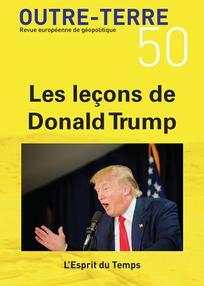 399-415, accessed at http://www.cairn.info/revue-outre-terre-2016-4-page-399.htm.